Does the menu look overwhelming? Looking for a formula to use as a skeleton for your studies in Nicaragua? In 1976, at age twenty-five, Stephen Kinzer arrived in Nicaragua as a freelance journalist–and became a witness to history. He returned many times during the years that followed, becoming Latin America correspondent for the Boston Globe in 1981 and joining the foreign staff of the New York Times in 1983. That year he openedthe New York Times Managua bureau, making that newspaper the first daily in America to maintain a full-time office in Nicaragua. Widely considered the best-connected journalist in Central America, Kinzer personally met and interviewed people at every level of the Somoza, Sandinistas and contra hierarchies, as well as dissidents, heads of state, and countless ordinary citizens throughout the region. 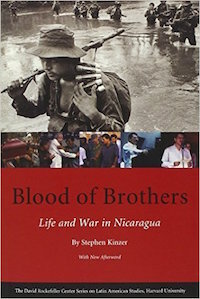 Blood of Brothers is Kinzer’s dramatic story of the centuries-old power struggle that burst into the headlines in 1979 with the overthrow of the Somoza dictatorship. It is a vibrant portrait of the Nicaraguan people and their volcanic land, a cultural history rich in poetry and bloodshed, baseball and insurrection. 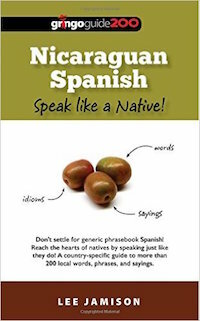 Nicaraguan Spanish: Speak like a native! Think you know Spanish? Think again! 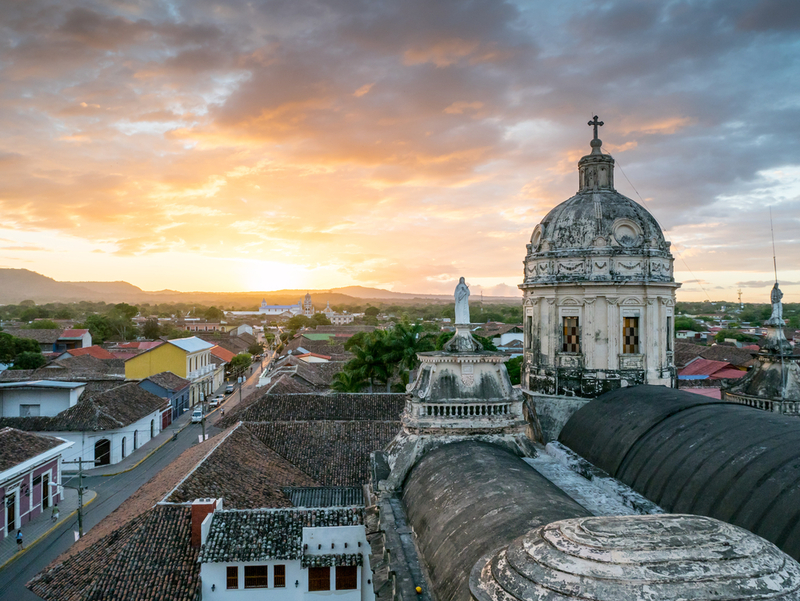 The moment you land in Nicaragua you will be bombarded with words, phrases, and sayings typical of the country’s creative-minded inhabitants. What does it all mean? Come with us on a thrilling adventure through hundreds of the most common expressions. And learn some history and culture on the way! We don’t teach you Spanish; we teach you how to make your Spanish more Nicaraguan! “I did not go to Nicaragua intending to write a book, or, indeed, to write at all: but my encounter with the place affected me so deeply that in the end I had no choice.” So notes Salman Rushdie in his first work of nonfiction, a book as imaginative and meaningful as his acclaimed novels. 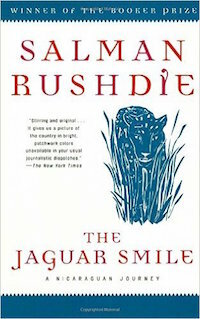 In The Jaguar Smile, Rushdie paints a brilliantly sharp and haunting portrait of the people, the politics, the terrain, and the poetry of “a country in which the ancient, opposing forces of creation and destruction were in violent collision.” Recounting his travels there in 1986, in the midst of America’s behind-the-scenes war against the Sandinistas, Rushdie reveals a nation resounding to the clashes between government and individuals, history and morality. Michel Gobat deftly interweaves political, economic, cultural, and diplomatic history to analyze the reactions of Nicaraguans to U.S. intervention in their country from the heyday of Manifest Destiny in the mid–nineteenth century through the U.S. occupation of 1912–33. Drawing on extensive research in Nicaraguan and U.S. archives, Gobat accounts for two seeming paradoxes that have long eluded historians of Latin America: that Nicaraguans so strongly embraced U.S. political, economic, and cultural forms to defend their own nationality against U.S. imposition and that the country’s wealthiest and most Americanized elites were transformed from leading supporters of U.S. imperial rule into some of its greatest opponents. Gobat focuses primarily on the reactions of the elites to Americanization, because the power and identity of these Nicaraguans were the most significantly affected by U.S. imperial rule. He describes their adoption of aspects of “the American way of life” in the mid–nineteenth century as strategic rather than wholesale. 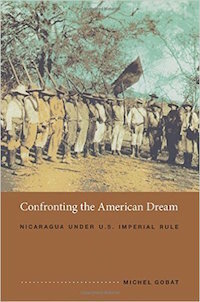 Chronicling the U.S. occupation of 1912–33, he argues that the anti-American turn of Nicaragua’s most Americanized oligarchs stemmed largely from the efforts of U.S. bankers, marines, and missionaries to spread their own version of the American dream. In part, the oligarchs’ reversal reflected their anguish over the 1920s rise of Protestantism, the “modern woman,” and other “vices of modernity” emanating from the United States. But it also responded to the unintended ways that U.S. modernization efforts enabled peasants to weaken landlord power. Gobat demonstrates that the U.S. occupation so profoundly affected Nicaragua that it helped engender the Sandino Rebellion of 1927–33, the Somoza dictatorship of 1936–79, and the Sandinista Revolution of 1979–90. An electrifying memoir from the acclaimed Nicaraguan writer (“A wonderfully free and original talent”—Harold Pinter) and central figure in the Sandinista Revolution. Until her early twenties, Gioconda Belli inhabited an upper-class cocoon: sheltered from the poverty in Managua in a world of country clubs and debutante balls; educated abroad; early marriage and motherhood. But in 1970, everything changed. Her growing dissatisfaction with domestic life, and a blossoming awareness of the social inequities in Nicaragua, led her to join the Sandinistas, then a burgeoning but still hidden organization. She would be involved with them over the next twenty years at the highest, and often most dangerous, levels. Her memoir is both a revelatory insider’s account of the Revolution and a vivid, intensely felt story about coming of age under extraordinary circumstances. 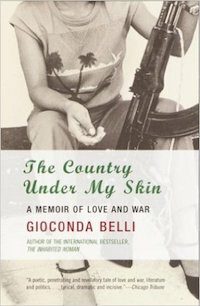 Belli writes with both striking lyricism and candor about her personal and political lives: about her family, her children, the men in her life; about her poetry; about the dichotomies between her birth-right and the life she chose for herself; about the failures and triumphs of the Revolution; about her current life, divided between California (with her American husband and their children) and Nicaragua; and about her sustained and sustaining passion for her country and its people. 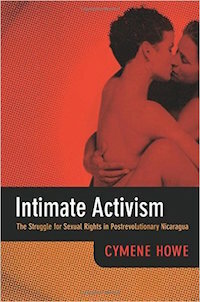 Intimate Activism tells the story of Nicaraguan sexual-rights activists who helped to overturn the most repressive antisodomy law in the Americas. The law was passed shortly after the Sandinistas lost power in 1990 and, to the surprise of many, was repealed in 2007. In this vivid ethnography, Cymene Howe analyzes how local activists balanced global discourses regarding human rights and identity politics with the contingencies of daily life in Nicaragua. Though they were initially spurred by the antisodomy measure, activists sought to change not only the law but also culture. Howe emphasizes the different levels of intervention where activism occurs, from mass-media outlets and public protests to meetings of clandestine consciousness-raising groups. She follows the travails of queer characters in a hugely successful telenovela, traces the ideological tensions within the struggle for sexual rights, and conveys the voices of those engaged in “becoming” lesbianas and homosexuales in contemporary Nicaragua. 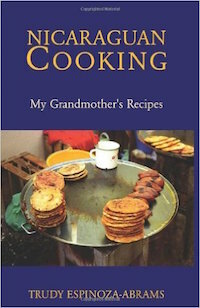 In this first English-language book of Nicaraguan cooking (and indeed, the only one available in any language), Trudy Espinoza-Abrams has dug deep into her childhood in Granada, Nicaragua and sifted through the countless hours spent in her grandmother’s kitchen. When Maria Vazquez returns to Nicaragua for her beloved grandfather’s funeral, she brings with her a mysterious package from her grandmother’s past—and a secret of her own. And she also carries the burden of her tense relationship with her mother Ninexin, once a storied revolutionary, now a tireless government employee. Between Maria and Ninexin lies a chasm created by the death of Maria’s father, who was killed during the revolution when Maria was an infant, leaving her to be raised by her grandmother Isabela as Ninexin worked to build the new Nicaragua. As Ninexin tries to reach her daughter, and Maria wrestles with her expectations for her romance with an older man, Isabela, the mourning widow, is lost in memories of attending boarding school in 1950’s New Orleans, where she loved and lost almost sixty years ago. When the three women come together to bid farewell to the man who anchored their family, they are forced to confront their complicated, passionate relationships with each other and with their country—and to reveal the secrets that each of them have worked to conceal. 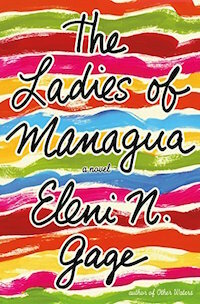 Lushly evocative of Nicaragua, its tumultuous history, and vibrant present, Eleni N. Gage’s The Ladies of Managua brings you into the lives of three strong and magnetic women, as they uncover the ramifications of the choices they made in their pasts and begin to understand the ways in which love can shape their futures. Nicaragua’s Atlantic coast is home to the most dangerous of fish, the bull shark, a lethal predator with a fearsome appetite and the only shark that swims in inland waters. 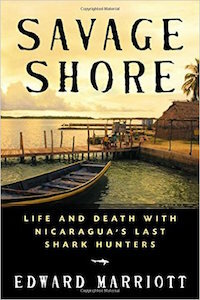 Braving Nicaragua’s hurricane-torn wilderness of mangrove swamps, Edward Marriott joins the last surviving shark fishermen to sail in a dugout canoe and fish for sharks with a hand line. As Marriott charts the life of the bull shark, its migrations, its voracious feeding patterns, and the treasures it offers — oil for vitamins, hide for leather, and fins for soup — he reveals lives spent in fear and awe in the shadow of a monster that can sniff fresh blood a mile away. He also tells a tale of human greed: an elemental community, battered by civil war and natural disasters, is now degraded beyond repair to the point of providing bounty for modern-day pirates. A gripping narrative of risk and adventure, a poignant record of loss and corruption, Savage Shore confirms Marriott as one of our most original and insightful travel writers. In August 1996, Pulitzer Prize-winning journalist Gary Webb stunned the world with a series of articles in the San Jose Mercury News reporting the results of his year-long investigation into the roots of the crack cocaine epidemic in America, specifically in Los Angeles. The series, titled “Dark Alliance,” revealed that for the better part of a decade, a Bay Area drug ring sold tons of cocaine to Los Angeles street gangs and funneled millions in drug profits to the CIA-backed Nicaraguan Contras. Webb’s own stranger-than-fiction experience is also woven into the book. His excoriation by the media—not because of any wrongdoing on his part, but by an insidious process of innuendo and suggestion that in effect blamed Webb for the implications of the story—had been all but predicted. 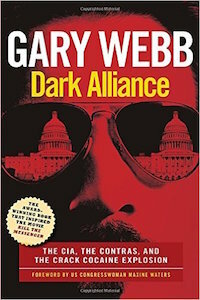 Webb was warned off doing a CIA expose by a former Associated Press journalist who lost his job when, years before, he had stumbled onto the germ of the “Dark Alliance” story. And though Internal investigations by both the CIA and the Justice Department eventually vindicated Webb, he had by then been pushed out of the Mercury News and gone to work for the California State Legislature Task Force on Government Oversight. He died in 2004. In the revolutionary decade between 1979 and 1992, it would have been difficult to find three political systems as different as death-squad-dominated El Salvador, peaceful social-democratic Costa Rica, and revolutionary Sandinista Nicaragua. Yet when the fighting was finally ended by a peace plan initiated by Costa Rica’s President Oscar Arias, all three had found a common destination in democracy and free markets. To explain this extraordinary turn of events is the task of this landmark book, which fuses political economy and cultural analysis. Both the divergent political histories and their convergent outcome were shaped by a single commodity that has dominated these export economies from the nineteenth century to the present–coffee. Jeffery Paige shows that the crises of the 1980s had their roots in the economic and political crises of the 1930s, when the revolutionary left challenged the ruling coffee elites of all three countries. He interweaves and compares the history, economics, and class structures of the three countries, thus clarifying the course of recent struggles. The heart of the book is his conversations with sixty-two leaders of fifty-eight elite dynasties, who for the first time tell their own stories of the experience of Central American revolution. 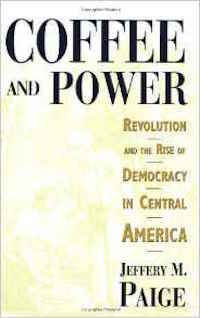 Paige’s analysis challenges not only Barrington Moore’s influential theory of dictatorship and democracy but also contemporary approaches to “transitions to democracy.” It also shows that a focus on either political economy or culture alone cannot account for the transformation of elite ideology, and that revolution in Central America is deeply rooted in the personal, familial, and class histories of the coffee elites. 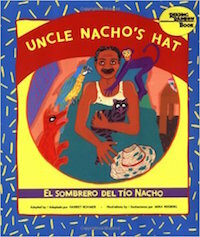 Suitable for ages 4 to 8 years, this text is available in English & Spanish. 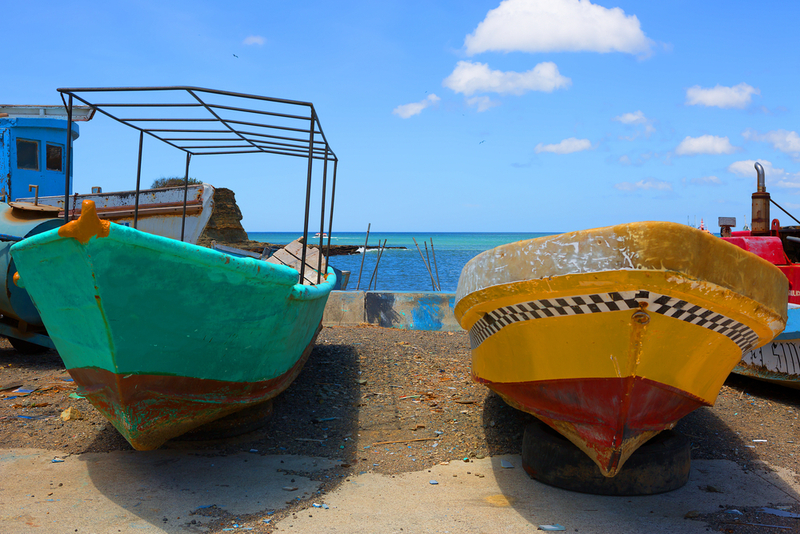 This is a delightful story from the Miskitu region on the Northeast coast of Nicaragua. 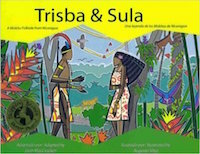 It is bilingual, introducing children and adults to both Spanish and English translations on every page. The beautiful illustrations were painted by the well-known Nicaraguan artist, Augusto Silva. His use of vibrant colours and geometric lines is outstanding. Readers will delight in seeing the animals and plants of Central America. This folktale has never before been written in English. Like most folktales, it had been passed down verbally through the generations. Dr MacCracken’s adaptation has been enthusiastically received by the Miskitu people. The environmental message of limited hunting practices is timely. She is confident that those who see the book will want to own one. Indigenous Wars (1998): An excellent report that addresses the uncertain future for indigenous Nicaraguans as they fight against their own government and people. 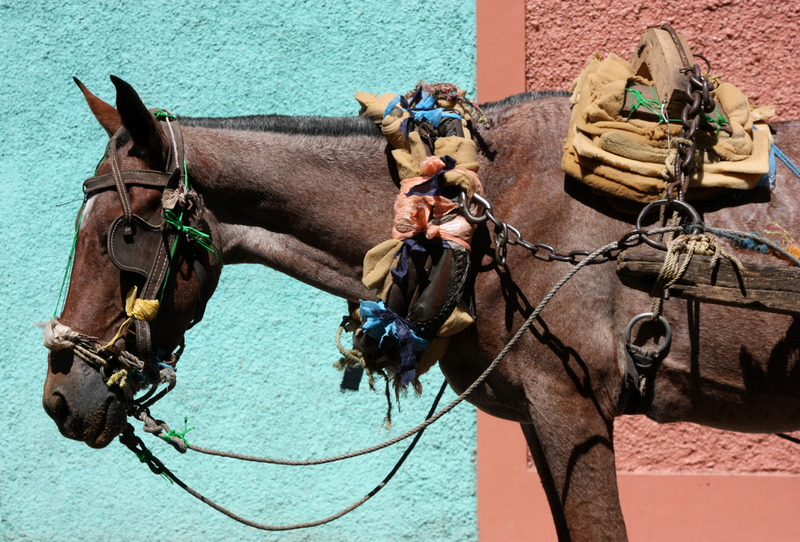 Nicaragua is the second poorest country in the Americas, second only to Haiti. Poverty is rampant and easily witnessed on its streets. The dream of building a trans-Nicaragua canal connecting the Atlantic and the Pacific has been around for centuries, but despite prospects for economic growth, the latest China-backed canal project in Nicaragua is dividing the nation. The proposed Nicaragua Canal Project presents a classic trade-off between economic development and the protection of natural resources to the country. In this case, it is Lake Cocibolca (also known as Lake Nicaragua), the largest lake in Central America and a source of drinking water to thousands of Nicaraguans, that is in danger. In my legal opinion, it is completely evident that the canal law is against the constitution. Nice video of cigar production in Esteli, Nicaragua. Describes the negative impact of excessively high, regressive excise taxes on the cigar industry in Nicaragua. The Iran–Contra affair, also referred to as Irangate, Contragate or the Iran–Contra scandal, was a political scandal in the United States that came to light in November 1986. During the Reagan administration, senior administration officials secretly facilitated the sale of arms to Iran, the subject of an arms embargo. Some U.S. officials also hoped that the arms sales would secure the release of several hostages and allow U.S. intelligence agencies to fund the Nicaraguan Contras. Under the Boland Amendment, further funding of the Contras by the government had been prohibited by Congress. The scandal began as an operation to free the seven American hostages being held in Lebanon by a group with Iranian ties connected to the Army of the Guardians of the Islamic Revolution. It was planned that Israel would ship weapons to Iran, and then the United States would resupply Israel and receive the Israeli payment. The Iranian recipients promised to do everything in their power to achieve the release of the U.S. hostages. The plan deteriorated into an arms-for-hostages scheme, in which members of the executive branch sold weapons to Iran in exchange for the release of the American hostages. Large modifications to the plan were devised by Lieutenant Colonel Oliver North of the National Security Council in late 1985, in which a portion of the proceeds from the weapon sales was diverted to fund anti-Sandinista and anti-communist rebels, or Contras, in Nicaragua. On day 5 of my vacation in beautiful Nicaragua, I went to a garbage dump. Here’s some of the footage I shot during my visit to the dump at Chinandega. Recorded February 28, 2013. Coffee is one of the world’s most highly-traded commodities, and in Nicaragua, women undertake 70 percent of the work but own just 23 percent of the land, facilities, and products. The lucrative tasks are done by men, who retain control over household incomes, while women’s work in agriculture tends to go unpaid and is slotted between other household chores. Fatima Ismael is committed to narrowing the gender gap in Nicaragua by creating work opportunities in the coffee business and helping women buy their own land. Ismael’s organisation, the Union de Cooperativas Agropecuarias Soppexcca, was bankrupt when she took over, but it is now a thriving cooperative of 650 people. In 2003, it became the first organisation to implement a gender-equality policy, and 32 others have since followed suit. Her organisation works to help female farmers produce, manage, and market their own coffee and offers women producers credit to enable them to buy their own land. In this film, we meet Maxima Talavera, who – thanks to a loan from Soppexcca – has been able to improve her home and buy extra farm animals. She is now independent and able to provide for her children and ensure they attend school. Soppexcca also uses the proceeds of the business to help fund a health clinic to detect and treat women with cervical cancer – Nicaragua has the highest rate in the world – and has built seven local schools. This short documentary aims to capture the factors influencing Nicaraguan Creoles to identify themselves as Black and as members of the Black diaspora. A new film by Marcelo Bukin. A Fabretto Foundation presentation. The story of four outstanding children and their families who live in the tragedy of extreme poverty, but face their lives with an inspiring unity, strength and humor. Who was Augusto Sandino Calderón? His image, in the form of a giant statue, still presides over the city-scape of Managua. Who was he? What did he do? How did he rise to hero status in the history and legends of Nicaragua? Even after his death he has had a major influence in Nicaraguan politics and revolution. How? Tell the story of Sandino and the far reaching influence of his ideals and actions. There has been a fair amount of drama surrounding the Banana industry in Nicaragua in the last decade, with law suits brought against Dole and accusations made on behalf of the workers. Take a long look at the banana industry in Nicaragua, from early beginnings to modern day. What have been the key changes and influences in development over the years? Is the banana industry in Nicaragua ethical? What are the criticisms? 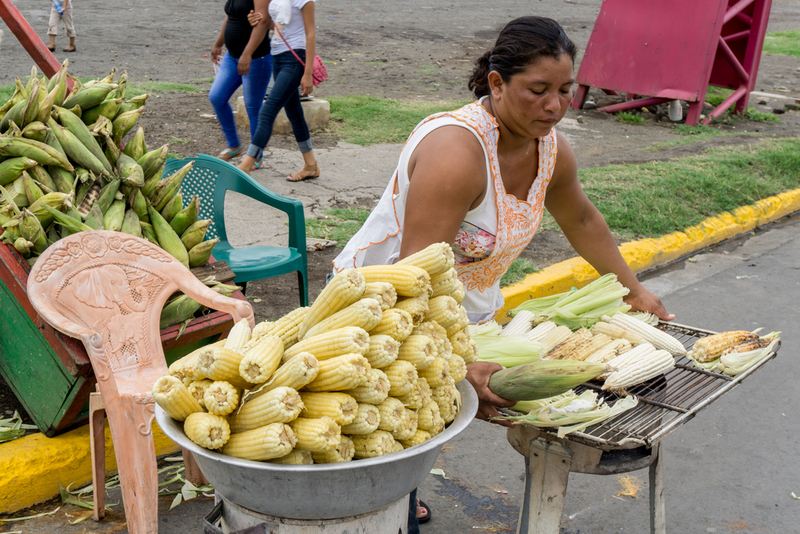 How important is the banana industry to the economy in Nicaragua? Coffee is another major and longstanding player in the economy of Nicaragua. Examine the coffee industry as it stands in Nicaragua now. What is the experience of the employees on a coffee finca? What is the process of producing coffee, from planting the trees to cup? How has FairTrade and Bird Friendly affected the coffee industry? Visit a coffee finca while you are in Nicaragua and learn more about the production of one of the world’s most popular drinks. Nicaragua has one of the greatest economic divides in Central America, and the world. Why is that? What has caused the divide? What sustains it? Some would say that there are two Nicaraguas, the wealthy one, and the impoverished one. How is the experience of the two groups different and how do you think this has contributed to the revolutionary past of the country and the difficulties it faces currently, and moving forward? Tell some stories, both of the wealthy Nicaraguans you encounter, and the impoverished. Nicaragua has the cheapest labor force in Central America. This means that a number of companies have moved their production here. Managua is famous for its “free zones” where thousands are employed in manufacture for export. What is made here? Which companies manufacture in Nicaragua and why (look beyond the cheap labor force to other incentives). What are the federal guarantees and controls on manufacture and the labor force? Are they enforced? How has this influx of manufacturing affected the economy? Who benefits most? Are there unions? What is life like for the average factory laborer in Managua? 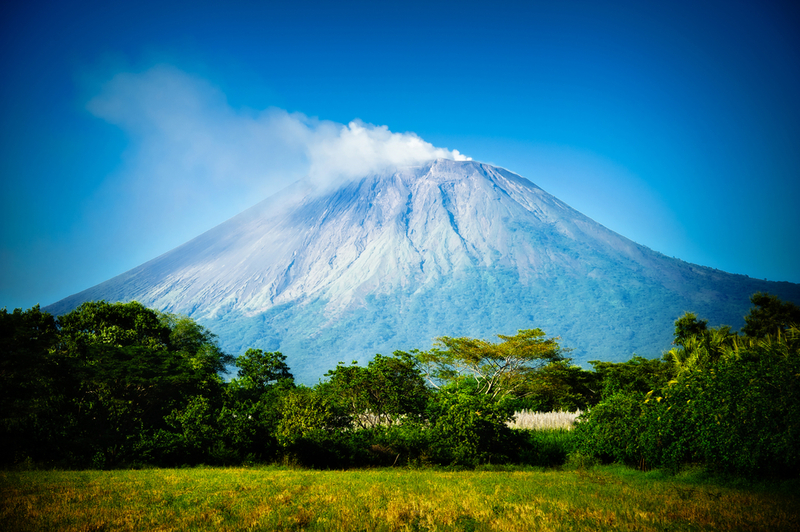 Nicaragua is home to a good deal of volcanic activity. It’s position on the ring of fire means that earthquakes and eruptions are part of life here. How have these natural “disasters” formed the landscape and the culture? What effect do they have on economics and daily life? What’s happening with the volcanoes now, while you are in the country? Lake Nicaragua is the only fresh water lake in the world with bull sharks in it. How did they get here? Are they dangerous? What effect do they have on the lake and its ecosystem? Do the sharks come and go, or are they here all the time? What has been the effect of fishing on the shark populations? What are sharks fished for? When the Spanish arrived there were seven main people groups living in this part of the world. The name “Nicaragua” is taken from the name of the leader of the largest and most powerful of those groups. The blending of the Spanish and the indigenous people resulted in the dominant people group in Nicaragua today. There is, however, a distinct and different people group along the Caribbean coast of the country. The Garifuna people are of mixed African descent, rather than indigenous. Their culture is unique and also plays an important role in the history of, as well as modern day, Nicaragua. 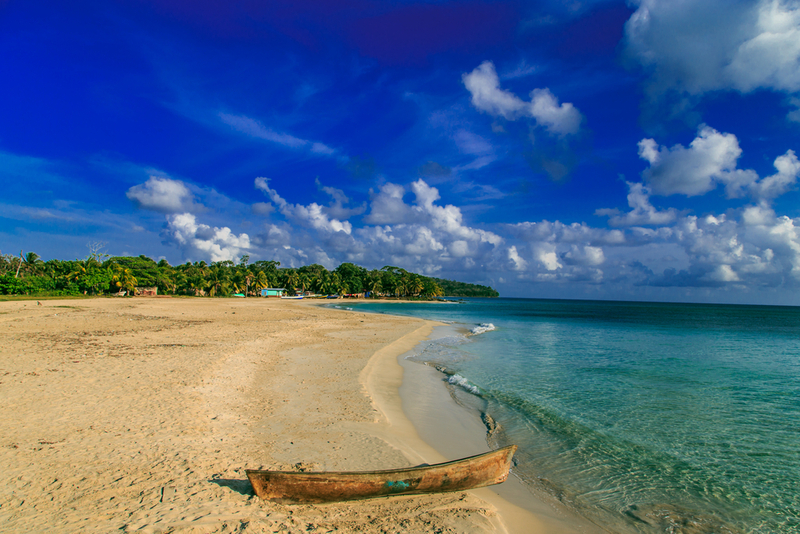 Who are the Garifuna? How did they get here? What is their history? What have been their contributions to Nicaraguan society? What makes their culture distinct? Where do they “fit” in modern Nicaragua? Nicaragua is one of the worst countries in the world where sexual violence against women and girls is concerned. Why is that? Where is the violence being committed? What cultural and social factors contribute to the violence. Tell some of the stories of women. What is being done to stem this violence? Are there laws in place that are giving women some legal rights? Are there NGOs or other community organizations that are succeeding in lessening the violence or rehabilitating the women? What grassroots initiatives are improving the situation or providing haven for women? Identify the problems and look for success stories. Nicaragua has been characterized by political turmoil for much of its modern history. What is it about this tiny country that seems to draw outside intervention and internal conflict? Politically, who have been the major players, internally and externally? Do you think these interventions from the outside (specifically the multiple US invasions) have been justified? What toll has the continual political turmoil taken on the daily lives of Nicaraguans? What has been the generational cumulative impact? What is the political situation now? Do you believe it is stable or unstable Why? Examine the country’s current leadership and the primary points of struggle and contention. Make some predictions, based on the past, about the various paths the country might be headed down. How do you see the government working to drive the country in a productive direction? What is the general sentiment of “average Nicaraguans” that you talk to regarding their political leadership. Where has Nicaragua been? Where is it now? Where do you think it’s going? Extreme poverty is defined as living on less than $1 USD per day. In 2013 nearly 10% of Nicaraguans qualified under that definition. According to one study, that number is rising. 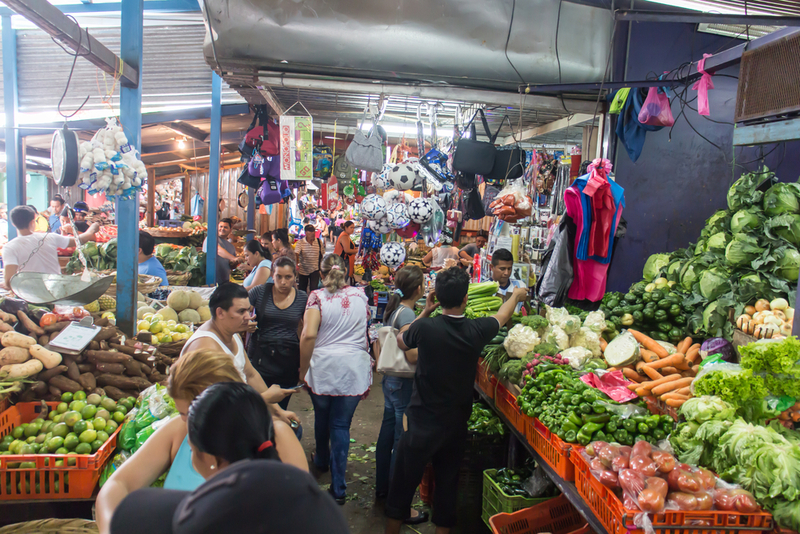 The average income in Nicaragua hovers around $6000 USD per year, but that number is misleading because “average” is very difficult to find. Nicaragua has one of the deepest economic divides of any country in the world and it’s poverty level is second only to Haiti in North America. 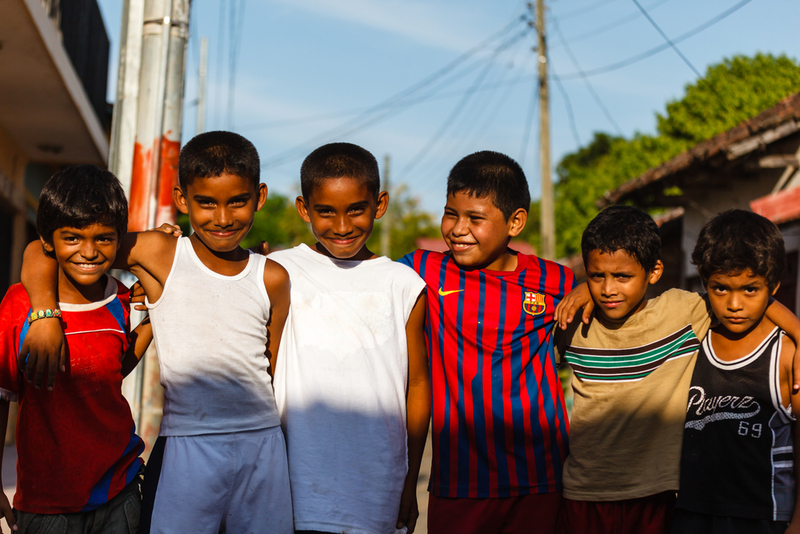 You’re sure to come face to face with extreme poverty while you are in Nicaragua. Instead of walking by, think about this problem and learn what you can. Why is there such a deep economic divide in Nicaragua? What contributed to this? What are the factors that sustain it? What (if any) kinds of efforts have been (or are being) made to level the playing field and increase economic balance? What are the factors that trap people in extreme poverty? What does this mean for men? For women? For children? Are there NGOs, or governmental organizations addressing the root causes of extreme poverty in Nicaragua? To what end? Are there success stories to tell? Where does more work need to be done? What does real “help” look like? How is climate change affecting Nicaragua? How are the changes already affecting farming and food supplies? What do the intensified drought-flood cycles mean for rural communities and the country at large? What kinds of efforts are in the works to combat and evolve industries around the new realities of climate change? Nicaragua has a diverse food culture, from the Spanish colonial influence to the indigenous populations, to the Garifuna coastal culture. Heavy on beans, rice, plantain and fish you’ll aso find empanadas on most street corners, tortillas in the indigenous tradition and a range of modern applications of traditional ingredients. Nicaragua might not have as many museums as the countries in Europe, but they have some very unique offerings that will provide an opportunity to learn deeply about the history and culture of this tiny country. Huellas de Acahualinca Museum: An important archeological site highlighting footprints that are over 6000 years old! Museo de Cacao y Chocolate: Located in Granada, particularly good for kids. For a full list of the museum options in Nicaragua, start here. If you’re looking for a list of volunteer opportunities in Nicaragua, Transitions Abroad has a site dedicated to helping you find one. Please be advised that TAP is not recommending these, only presenting them as a list of possibilities. Vet your volunteer options carefully. Most people in Nicaragua rely on public transportation. Options include buses of three classes: Large coach style buses, van sized collective buses, and the chicken buses which whisk people between towns at the lowest possible price. You’ll also find city buses of dubious quality in Managua. Pick up trucks provide another low cost option for transportation and then there’s always the ubiquitous taxi. Around the lakes you’ll find boats of various sizes and styles. 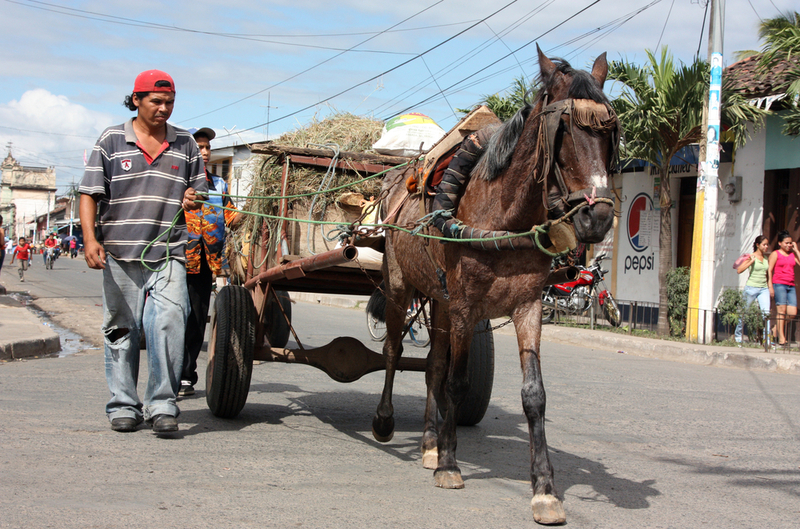 You’ll see a lot of locals using horse or donkey carts in the countryside as well as the city. Challenge yourself to take every type of public transportation available while you are in Nicaragua. Create a photo essay or videologue of your adventures. What did you learn? Nicaragua has a deep religious base. The Catholic church, which arrived with the Spanish colonial wave provides the core of religious belief with an ever growing fringe of Protestant Christian churches and missions. Religion is part of the constitution and freedom of religion as well as religious tolerance are protected and promoted. It would be interesting to spend some time studying Liberation Theology and the role of religion in the revolution as well as it’s role in modern Nicaragua. Take some time to attend various religious observances and see what you can learn. Don’t be afraid to ask questions. How does the religious climate in Nicaragua compare with what you grew up with?